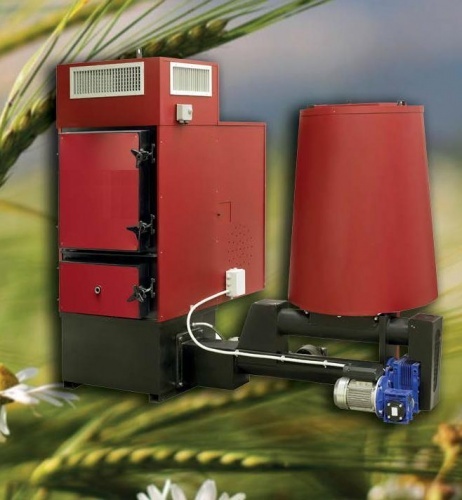 It is hot air generators, fueled woodchips,pellet, peanut oil, olive pomace oil, chopped fruit shells, wood pieces .. They are equipped with air exchanger made of stainless steel on which blows a big fan of 'air to heat large areas (sheds, greenhouses etc. ..). 'm quick to install and easy to use. They can be equipped with semi-automatic unloading solutions of the ash, and low maintenance in steps of smoke. Perfect for heating large areas with very low installation and operating costs. The generator is made of high quality steel (certified), resistant to high temperatures. Power range by 40 to 1700kw.